The guidelines for currently used urine testing were mainly developed by a researcher called E.H. Kass in 1957. He based his findings on the assumption that normal or ‘healthy’ urine was sterile and that therefore any microbe that was found in an uncontaminated urine sample must be considered a pathogen. Kass also assumed that most midstream urine samples would have slight levels of bacterial contamination from outside of the bladder. Therefore he set a threshold of the amount of bacteria found in the urine sample in order to distinguish between actual pathogens and contamination from bacteria outside of the bladder. Therefore, the threshold for diagnosing an infection was set between 102 and 106 colony forming units (cfu) per millilitre of a single species of a known urinary pathogen. Colony forming units or cfu refers to the ability of the bacteria to replicate and form colonies. Today, the gold-standard threshold used to diagnose an infection is 105 cfu. It was also assumed that one single organism at a time is responsible for an infection, usually the E. Coli bacterium. The standard lab procedure is to leave the urine sample in a plate for 24 hours to culture. Bacteria are identified by colour and size. After the 24 hours an infection is identified as positive if more than 105 cfu/ml have been generated. Usually, the urine is also tested with a dipstick and sometimes microscopic identification to look for white blood cells and nitrite. White blood cells are produced by the body in cases of infection and nitrite is produced by bacteria. The dipstick/microscope test is often used first to determine whether a sample is even submitted to the lab or not. Testing guidelines have been established based on the assumption that urine is sterile. We now know that this is not the case and that in fact the bladder has its own microbiome, or resident communities of microbes. Many microbes are anaerobic, meaning they can’t survive in oxygen and therefore can’t be cultured under the standard conditions in a lab. Therefore, urine cultures miss a lot of bacteria. Measuring the presence of white blood cells in a urine sample is not sufficient to determine the presence of an infection. Dipsticks are not sensitive enough to rule out infections and microscopy results can be skewed. Only looking for known urinary pathogens misses potential new pathogens that we don’t know about yet. Problems could be caused by more than one bacteria or possibly by an imbalance of the urinary microbiome. New metagenomics testing can pick up most microbes. This is now commercially available for the gut. Unfortunately, this type of testing is not yet available for the bladder. Update: Next Generation DNA sequencing urine tests are now available worldwide from 2 labs – Microgen DX and Aperiomics. One testing method that may reveal some hidden pathogens is the broth culture procedure. This is currently only available in the US from United Medical Lab. However, this is not as thorough as new genetic screening. But until this becomes available it might be worth a shot. In the presence of urinary tract symptoms, including interstitial cystitis, an infection should not be ruled out. Request copies of all your urine test results. Any raised leukocytes, bacteria or epithelial cells can be signs of hidden infections. Pro-inflammatory cytokines can be a marker for hidden biofilm infections or non-bacterial infections. Try and get referred to a special chronic UTI clinic such as the LUTS clinic at the Whittington Hospital. Even if you’re undiagnosed, you can try natural antibiotics, probiotics, biofilm disruptors and follow my protocols for cystitis or interstitial cystitis – I got rid of all my UTI/IC issues following these protocols without ever getting a proper diagnosis or conventional medical help. A great resource for hidden chronic cystitis is the Chronic UTI Australia website – lots of info that you can use to talk to your doctor. Plus they’re also doing great work spreading awareness of the inadequacies of current standard testing. Now I would like to hear from you. 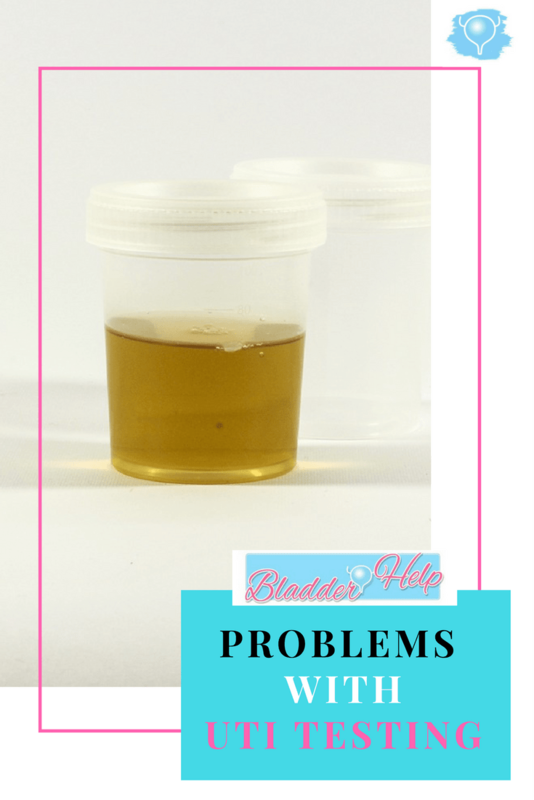 Do you have urinary tract symptoms but no diagnosis? Let me know in the comments! Very well written and interesting as always. Thanks I learned a lot from this piece! This is really interesting. I have a long history of uti’s but have been mystified a few times when it didn’t come back positive. Luckily my doctor knows my history and generally gives me antibiotics anyway. For those struggling with chronic/recurrent UTI please join the fight to get these recognised and the testing changed. Contact the Chronic Urinary Tract Infection Campaign at CUTIC.CO.UK. There are suspected to be thousands of men women and children across the UK not treated correctly due to testing failing them because it has not been updated since the 1950s. Even Kass acknowledged that his testing was not adequate and only tested patients with kidney infections not UTIs when publishing his work. NICE has no guidelines for recurrent infections and CUTIC have campaigned both in Parliament and are lobbying NICE to change this. This is a global issue for which change can be brought about here in the U.K. Thanks for sharing this, Susan. CUTIC are doing such great work! I am a patient in the U.K. treated by the doctors who wrote this study. I spent nearly a year being told there was nothing wrong with me and I had no infection. I had had countless urine tests and other tests. As soon as I was lucky enough time be seen by Professor James Malone Lee, the author of this study, I was diagnosed with chronic embedded UTI via his system of testing the urine under microscope. I am still in treatment with him. Hi Laura, I’m glad to hear you’re finally receiving treatment. I’d be interested to hear how you get on! You all my want to check out National IC Network. They have a blog called Team Inspire. If I read correct U.K. Is where you are if so, see Lee Malone or Malone Lee? He’s have great success with healing. I,was ready to fly over for his help. Growing urinary tract bacteria in a lab. Lab analysis of the urine is sometimes followed by a urine culture. This test tells your doctor what bacteria are causing your infection and which medications will be most effective.